ARLINGTON, Va.--(BUSINESS WIRE)--Eureka, Again! K–2 Science Activities and Stories proves that it’s never too early to put a human face on science and engineering. By evoking Archimedes’s famous cry, the new NSTA Press book helps teachers introduce young students to what scientists do, how they look, and why science and engineering are important. The book’s lessons are grounded in 27 children’s trade-books. Some of the featured biographies are about famous people, such as Rachel Carson. Other individuals are not as well known, such as paleontologist Mary Anning and recycler Isatou Ceesay. The lessons introduce skill-building, inquiry-based investigations while highlighting the scientists’ and engineers’ work and the character traits that helped each succeed. The lessons support the Next Generation Science Standards and are easy to teach. Each chapter uses a learning-cycle format and begins with a personal story from the authors that provides valuable insights into teaching at the K–2 level. Eureka, Again! is a sequel to the best-seller Eureka! Grade 3–5 Scientific Activities and Stories. Both books help students make an important discovery: Scientists aren’t stereotypes wearing goggles and lab coats. They are women and men whose work and success stem from their life experiences—and whose stories may inspire children to consider STEM-related careers themselves. Browse sample pages of this title for free at the NSTA Science Store. The Arlington, VA-based National Science Teachers Association is the largest professional organization in the world promoting excellence in science teaching and learning, preschool through college. NSTA’s membership includes approximately 50,000 science teachers, science supervisors, administrators, scientists, business representatives, and others involved in science education. NSTA Press produces 25 to 30 new books and e-books each year. Focused on the preK–college market and specifically aimed at teachers of science, NSTA Press titles offer a unique blend of accurate scientific content and sound teaching strategies. Follow NSTA Press on Facebook for the latest information and new book releases. 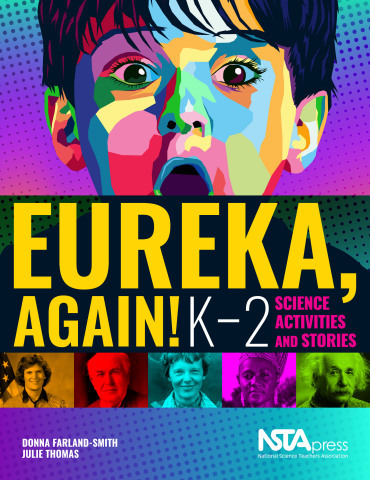 NSTA releases new book that helps teachers introduce K-2 students to what scientists do, how they look, and why science and engineering are important.